"I don't believe in fate or luck. 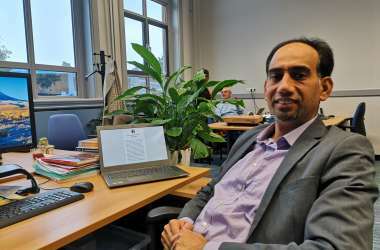 I believe in hard work"
Diverting from his usual academic writing style, Wittenborg's Head of the School of Business, Dr Rauf Abdul, has contributed to a newly published book of essays, detailing his journey from a schoolboy in Pakistan to a PhD in the Netherlands and what he learned on the way. 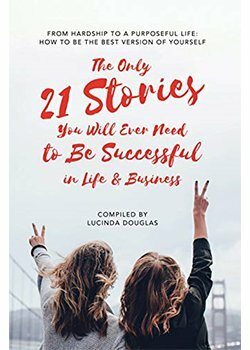 Abdul is one of several authors who contributed to The Only 21 Stories you will Ever Need to be Successful in Life & Business: From Hardship to a Purposeful Life - a book compiled by renowned Dutch speaker and author, Lucinda Douglas, who united 21 authors to share how they coped with hardships and came out stronger. The online copy of the book was released on Amazon in October and will be published in hard copy this month. Douglas is also a visiting professor at Wittenborg University of Applied Sciences. "I don't believe in luck or fate. I believe in hard work," says Abdul - a philosophy which seems to permeate his entire story entitled "Fortune Favours the Brave". He is not unfamiliar with publishing as he also contributed to two bestselling academic titles: HRM Effectiveness in Small and Medium Size Enterprises and HRM effectivity in small and medium-sized enterprises: a multiple cross-case study of Pakistani and Dutch SMEs. On his motivation for sharing some of the lessons he has learned en route to academic success, Abdul says: "I wanted to share my experience with younger people and influence their thinking philosophy." The title, he says, refers to being brave enough to make tough decisions in life. "Many young people focus on material things - a nice car, a big house, a big bank account - and they want instant access to that without realising that it is not really these things that matter in life. I want to impress on them that there are no short-cuts in life, that you have to work very hard to fulfil your dreams. Abdul says his story started when as a 16-year old he defied his father's wish to become a doctor or engineer and chose to study business administration instead. "This was my first ever formal conversation with my dad during a spring afternoon over an English cup of tea. I have many stories, but this is the one that defines my life journey. I am grateful to my parents who lovingly allowed me to pursue my dreams, even when it was not what they had in mind for me. I completed a PhD in Human Resource Management at a world-renowned Dutch university. I then reached a leadership position at one of the top international business schools in the Netherlands at a young age. It is true that fortune favours the brave, but it is never just sheer luck. You must not only dream big, but build your dreams, step by step, with determination and hard work," he writes. He also recalls his dream of studying in the UK and dealing with dissapointment when his visa got rejected. Yet, he remained resolute to pursue a research degree at a reputable Western university. "Within a year, I managed to get a full scholarship for a 4-year degree in Holland. It is worthwhile to note that we never learn from our successes, we always learn from our failures. I fail to understand why people look for overnight success. Those who perservere receive rewards without measure."